SSL (Solid state lamps) plant light has unique and useful characteristics for plant growth applications. A photobioreactor with SSL light is especially suitable for plant growth applications in the laboratory scale and all photosynthesizing commercial organisms such as algae and bacteria. Using Solid state lamps (SSL), Applikon has developed a light panel that can be used as add-on modules that are compatible with standard stirred tank and single-use bioreactors from Applikon. This Photobioreactor for Plant Growth, offers maximum flexibility and economical set-up for the cultivation of photosynthesizing organisms. The volume range covers 3 liters up to 20 liters autoclavable stirred tank bioreactors and 10 up to 50 litters single use bioreactors. 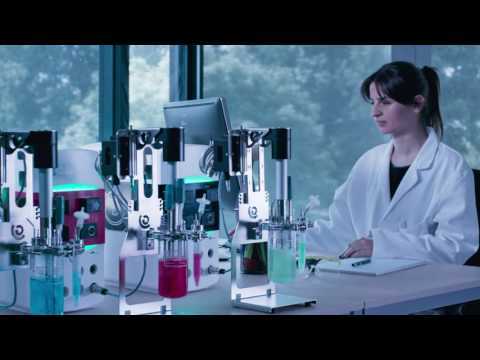 Applikon Biotechnology is a world leader in developing and supplying advanced bioreactor systems from laboratory scale to production scale. Applikon Biotechnology is the only company that can take you from the initial screening stage up to full-scale production using the same platform. This minimizes scale-up risks and guarantees the shortest time to market for your new product development. Require project and installation support? No problem, that's what we do best.